IS NOW JUNIOR WORLD FINALS! How do you know what you are doing wrong? For that matter, how do you know what you are doing right? 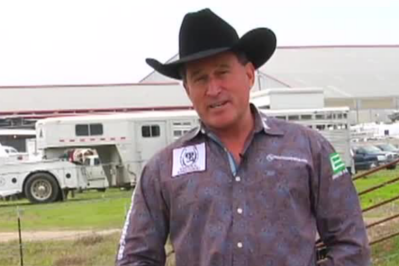 Totalteamroping.com offers subscription-based team roping video training. We are here to help you! Once you join totalteamroping.com you will have access to over 1,500 timeless videos in horsemanship, groundwork, handling a rope, practice techniques, equipment, horse care, catching and handling cattle and much more! Plus, with the availability of personal video coaching you’ve hit the jackpot! UNLIMITED Access To Personal Video Coaching!!! The more videos we receive, the more we can help! 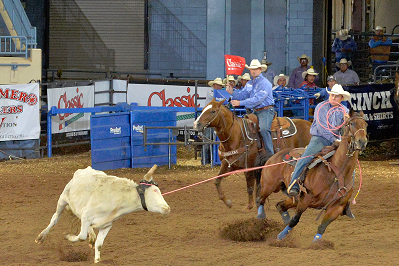 READY TO LEARN WORLD-CLASS TEAM ROPING TECHNIQUES FROM WORLD-CLASS TEAM ROPERS? Charles Pogue’s high level of mental focus is what makes him stand out as one of the Headers to both watch and learn from. Bret, co-founder of Total Team Roping is a 3-time qualifier in the National Finals Rodeo, twice for Heading and once for Heeling. We want to send a huge thank you to Clay O'Brien Cooper - He's hit the trails, heading to his next big adventure. 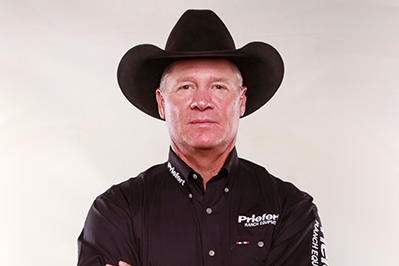 We appreciate all the time and hard work that he has put in to help us learn and grow here at TotalTeamRoping.com. Please join us in wishing him great luck in his future endeavors!